The tattoo above was my first, it is Tegan and Sara lyrics from one of my favourite songs Someday. I don't really want to go into too much detail on this one however it has so much meaning to me personally and I am so glad I got it. The second I got the day after my 21st birthday. 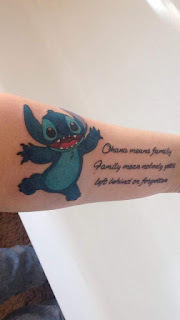 Stitch has always been a huge part of my life and the Ohana quote is perfect for the reason behind this tattoo. I always said I was going to get a Disney tattoo growing up and without a shadow of a doubt it was always going to be Stitch. 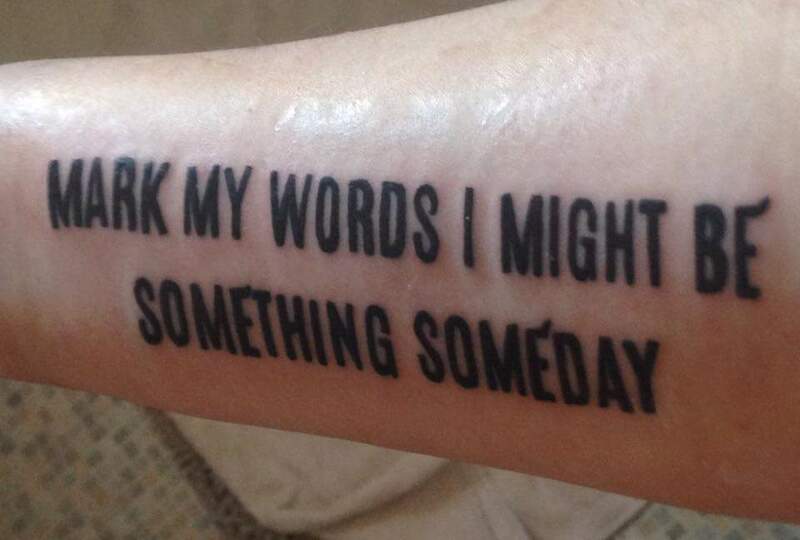 My 3rd tattoo came last August. Again this is more Tegan and Sara lyrics from the song Clever Meals. This song is such a great song and a real stand out song in regards to my life and the direction it was heading at the time. 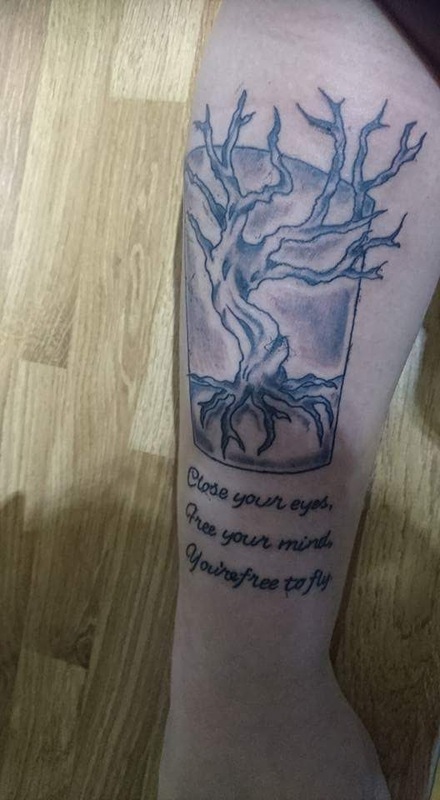 The tree is also inspired by Tegan Quin, Tegan has a tree fully alive on her arm I loved the design but fancied changing it up a little so I had my tattooist do a dead tree, which I instantly loved. With my fourth tattoo me and Liam decided to get matching. 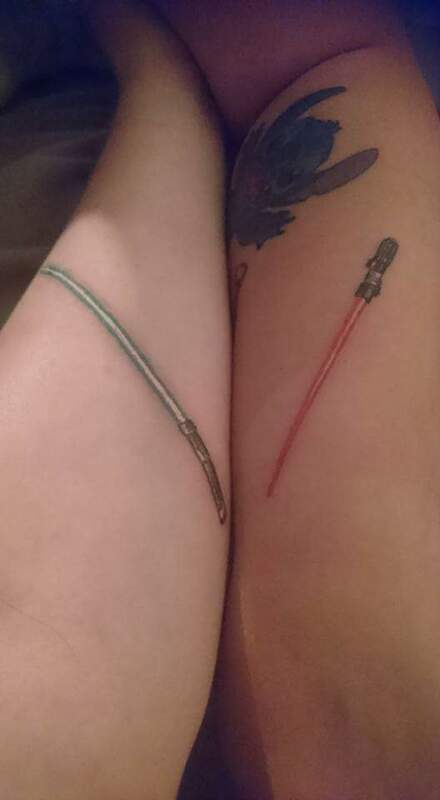 I got the red lightsaber and he got the green. Star Wars is something we both love and always have done, we always sit and watch it together. We also always say he is the light side and I am the dark side due to our personalities and how we side during the films. So there you have it that is my current lot of tattoos. I am hoping to add to them very soon so keep your eyes on the blog.